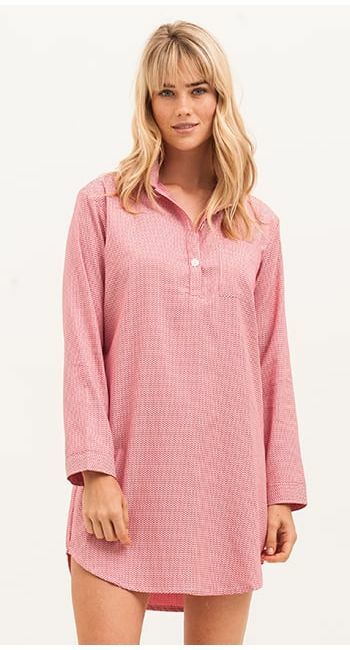 Striking white striped nightshirt in a luxurious lightweight Pima cotton. Due to the fineness and extra long length of its fibres, Pima cotton is considered to be one of the finest qualities of cotton. Finished with a pretty scooped hem. Available in two lengths. Please note that our nightshirts do come up slightly smaller than our pyjamas so we suggest going up a size. (Model height 5'8", UK 8 - wearing size S).